Beloved picture book creator and four-time Caldecott Honor-winner Leo Lionni's very first story for children, and a New York Times Best Illustrated Book of the Year. Little Blue and Little Yellow are best friends, but one day they can't find each other. When they finally do, they give each other such a big hug that they turn green! How they find their true colors again concludes a wonderfully satisfying story told with colorful pieces of torn paper and very few words. 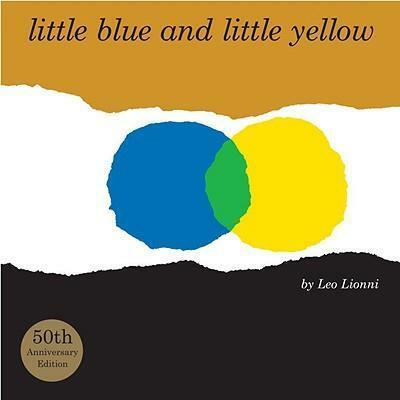 Leo Lionni launched his children's book career in 1959 with Little Blue and Little Yellow, and this 50th-anniversary edition, complete with Lionni's own explanation of how the book came to be, is sure to resonate with children today. Edition Statement -50th Anniversary ed.